The CCA Mechanics Committee met during the Final Four in Minneapolis. This is a rules change year; thus the number of mechanics changes will be minimal. However, our focus should be on perfecting our current mechanics. Any changes to our Mechanics Manual will be explained during the fall regional clinics. As we prepare for summer camps and the 2019-20 basketball season, the Mechanics Committee would like to offer the following mechanics teaching points from the Mechanics Committee. The following 2019 NCAA Integrity Education Video is recommended for all NCAA Men’s Basketball Officials. Although it is not required, we would expect that all officials view this video in its entirety. We hope that you find this sports wagering educational officiating video to be very informative. To view 2018-19 NCAA Men's Basketball In-Season Training Video 17 (Non-Eligibility), please click the VIDEOS Tab. Since this video is not required for eligibility, you will not receive a certificate of completion. To view 2018-19 NCAA Men's Basketball In-Season Training Video 16 (Non-Eligibility), please click the VIDEOS Tab. Since this video is not required for eligibility, you will not receive a certificate of completion. To view 2018-19 NCAA Men's Basketball In-Season Training Video 15 (Non-Eligibility), please click the VIDEOS Tab. Since this video is not required for eligibility, you will not receive a certificate of completion. To view 2018-19 NCAA Men's Basketball In-Season Training Video 14 (Non-Eligibility), please click the VIDEOS Tab. Since this video is not required for eligibility, you will not receive a certificate of completion. To view 2018-19 NCAA Men's Basketball In-Season Training Video 13 (Non-Eligibility), please click the VIDEOS Tab. Since this video is not required for eligibility, you will not receive a certificate of completion. 2018-19 NCAA Men's Basketball In-Season Training Video 12 (Eligibility Requirement) is now available. Training videos are required for officials who wish to work postseason assignments. The video will close on Friday, January 25 at 5 pm Eastern Time. To view the video, click the ELIGIBILITY Tab. After reading all information, click the Eligibility Center link. Please click the link to view the NCAA Men’s Basketball Direction of the Game Update. 2018-19 NCAA Men's Basketball In-Season Training Video 11 (Eligibility Requirement) is now available. Training videos are required for officials who wish to work postseason assignments. The video will close on Friday, January 25 at 5 pm Eastern Time. We hope you will join with us to support the fight against cancer. 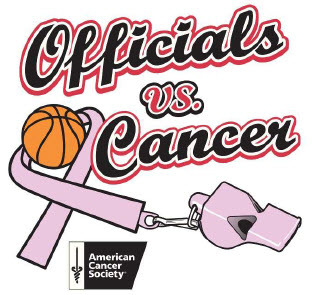 By making a pledge to donate any portion of your game fees that you officiate for the week of January 21—27, 2019, you will help further our efforts to eliminate cancer as a major health problem. Donations are collected year round, but to be included in the current campaign, the deadline for mailing your tax deductible donation is March 1, 2019. This campaign is being run in conjunction and support of “Suits and Sneakers” night, a project put on in association with “Coaches vs. Cancer” - a cause cosponsored by the NABC and The American Cancer Society. 2018-19 NCAA Men's Basketball In-Season Training Video 10 (Eligibility Requirement) is now available. Training videos are required for officials who wish to work postseason assignments. The video will close on Friday, January 25 at 5 pm Eastern Time. 2018-19 NCAA Men's Basketball In-Season Training Video 9 (Eligibility Requirement) is now available. Training videos are required for officials who wish to work postseason assignments. The video will close on Friday, January 25 at 5 pm Eastern Time. 2018-19 NCAA Men's Basketball In-Season Training Video 8 (Eligibility Requirement) is now available. Training videos are required for officials who wish to work postseason assignments. The video will close on Friday, January 25 at 5 pm Eastern Time. 2018-19 NCAA Men's Basketball In-Season Training Video 7 (Eligibility Requirement) is now available. Training videos are required for officials who wish to work postseason assignments. The video will close on Friday, January 25 at 5 pm Eastern Time. 2018-19 NCAA Men's Basketball In-Season Training Video 6 (Eligibility Requirement) is now available. Training videos are required for officials who wish to work postseason assignments. The video will close on Friday, January 25 at 5 pm Eastern Time. 2018-19 NCAA Men's Basketball In-Season Training Video 5 (Eligibility Requirement) is now available. Training videos are required for officials who wish to work postseason assignments. The video will close on Friday, January 25 at 5 pm Eastern Time. 2018-19 NCAA Men's Basketball In-Season Training Video 4 (Eligibility Requirement) is now available. Training videos are required for officials who wish to work postseason assignments. The video will close on Friday, January 25 at 5 pm Eastern Time. 2018-19 NCAA Men's Basketball In-Season Training Video 3 (Eligibility Requirement) is now available. Training videos are required for officials who wish to work postseason assignments. The video will close on Friday, January 25 at 5 pm Eastern Time. 2018-19 NCAA Men's Basketball In-Season Training Video 2 (Eligibility Requirement) is now available. Training videos are required for officials who wish to work postseason assignments. The video will close on Friday, January 25 at 5 pm Eastern Time. 2018-19 NCAA Men's Basketball In-Season Training Video 1 (Eligibility Requirement) is now available. Training videos are required for officials who wish to work postseason assignments. The video will close on Friday, January 25 at 5 pm Eastern Time. Please click here to listen to an audio Message from J.D. Collins, NCAA National Coordinator of Officials, regarding the Start of the Season. To view the audio script, click here. Summer is almost over and another season of Men’s Basketball is right around the corner. I know that we are all anticipating the beginning of the season. Please visit the Center Court Central Hub frequently to stay current on the latest Men’s Basketball officiating news and information. On the central hub, you’ll be able to read the latest rules interpretations from the Secretary-Rules Editor and bulletins from the National Officiating Coordinator, complete your requirements to be considered for a postseason assignment, and review videos of recurring plays and how they are to be officiated. The 2018-19 NCAA Men’s Basketball Officiating Exam will be available on the TESTING Tab in October. When available, the 2018-19 Men’s Basketball Officiating Video can be accessed on the VIDEO Tab. Searchable rules and case books are available by clicking on the RULES BOOKS Tab. A digital version of the Mechanics Manual will be available by clicking the CCA APP Tab. This year’s Welcome Packet includes the 2018-19 NCAA Men’s Basketball Rules Book, 2018-19 NCAA Men’s Basketball Case Book, and 2018-19 Men’s CCA Mechanics Manual. For Regional Clinic Registration, please click HERE. When you register for the clinic, be sure to use the same email address that you used for your NCAA Men's Basketball central hub registration to ensure you receive credit (a green checkmark) in your Eligibility Center. I am happy you have chosen to register with the NCAA. Thank you for being a critical part of the Men’s Basketball Improvement Program. If you have ideas or suggestions for improvement, please email me at jdcollins@ncaa.org. I look forward to seeing you at the Men’s Basketball Regional Clinics and throughout the season. When the officiating community is on the same page, it is good for the game! Registration for the 2018 Regional Clinics is now open. Please remember the email you use to sign up for the Regional Clinics, and then use the same one to register on the NCAA Men's Basketball central hub when registration opens on August 27. If you use a different email address, you will not receive credit in your Eligibility Center. The dates, location and deadline for the NCAA room rates are listed below. Remember to be eligible to work the 2019 DI NCAA Men’s Basketball Tournament, you must attend a Regional Officiating Clinic. ^Lodging for the Indianapolis clinic will be at the Fairfield Marriott. *Note: The Men’s Coordinator of Officials meeting (Divisions I, II and III) will take place on Friday, September 7 in Indianapolis. I look forward to seeing you at a regional clinic. Please click the link to view John Blazek Named NCAA Division II Men’s Basketball National Coordinator of Officials. Please click the link to view Summer Teaching Points - Mechanics Memorandum. Click here to read the Sportsmanship Memorandum by Jeff Hathaway, NCAA Division I Men's Basketball Oversight Committee Chair, which was sent to all Division I Men's Basketball Head Coaches. Please click here to view Frequently Asked Questions on Uniforms and Contest Delays (Men’s and Women’s Basketball – 2017-18).